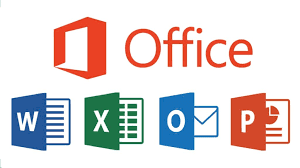 The first thing you'll notice when starting Microsoft Office 2010 is it's clean, refreshing and coherent look across all supported platforms including desktop, smartphones and tablets. Through a subscription of Office 365 and the integration with SkyDrive you can access and edit your files from any computer via a browser. Among the new features are a "Read Mode" in Word 2010 which removes toolbars and lets you swipe and tab through a document like in an "E-Reader". Videos are better supported. They can be searched, added and viewed directly within Word. Excel 2010 has new easy ways of working with formulas and charts in spreadsheets. Powerpoint 2010 was enhanced with better controls while in presentation mode, for example "Slide Zoom" to zoom in on a section of your slide. Adding photos to a presentation also became easier as you can now search and add pictures from your albums on Flickr and other online photo and social network sites.